Seven U.S. aircraft carriers are underway for the first time simultaneously in several years. This post has been updated with a statement from Commander of U.S. Naval Air Forces Vice Adm. Michael Shoemaker. The carriers in 7th Fleet could converge for the first simultaneous three-strike group training operations in a decade, defense officials have told USNI News. “These three carriers are not there specifically targeting North Korea,” Chairman of the Joint Chiefs Gen. Joseph Dunford said last week. The exercise would likely overlap with President Donald Trump’s 12-day Asia trip and be set against a backdrop of smoldering tensions between Washington and North Korea. Vinson is conducting a planned sustainment exercise and flight tests with the F-35C Lighting II Joint Strike Fighter, while Stennis left Kitsap-Bremerton last week for training after coming out of a repair period. A sailor on Vinson was injured Friday after being struck with a plane being towed on the flight deck. Lincoln is undergoing a series of qualifications following the completion of a mid-life refueling and complex overhaul and return to the fleet in May. Ford is continuing years of tests and training before the ship will be fully integrated into the U.S. fleet and leave on its first deployment sometime in the early 2020s. “Naval aviation is supporting the requirements of combatant commanders forward while building our capabilities for future deployments–and qualifying new pilots–with training near our shores,” Vice Adm. Michael Shoemaker, commander Naval Air Forces said in a Monday statement provided to USNI News. While the Navy is quick to ascribe coincidence and overlapping training schedules often to a certain number of ships underway, leaders also use the number of ships deployed as a metric of how well the service is doing. In 2004, the service deployed seven carrier strike groups as part of the Summer Pulse 04 exercise to demonstrate the surge capacity of the carrier force. 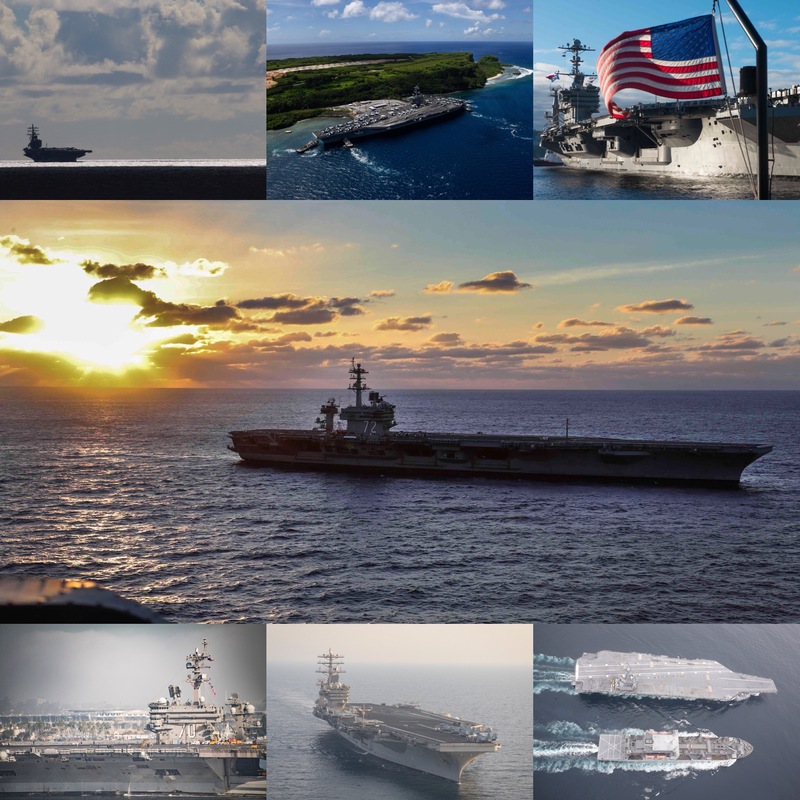 “The near-simultaneous deployment of seven carrier strike groups provides the Navy and the joint combatant commanders an opportunity to exercise the [fleet response plan] while maintaining the ability to respond to crises around the globe, enhance regional security and relationships, meet combatant commander requirements including forward presence, and demonstrate a commitment to allies and coalition partners,” read a statement from June 3, 2004.